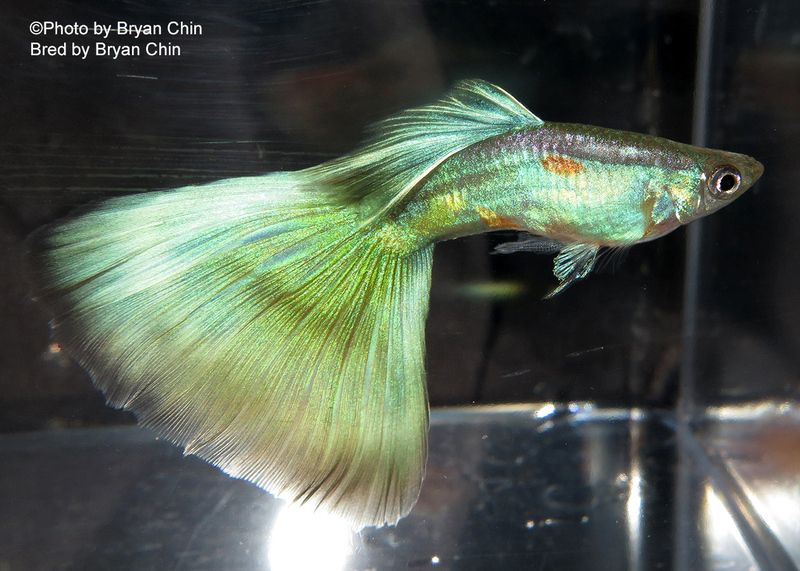 The Green guppy is much sought after color strain. 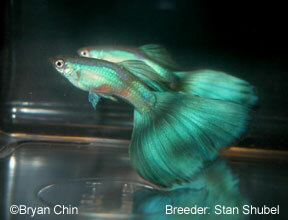 A true green guppy that is show quality is difficult to develop . 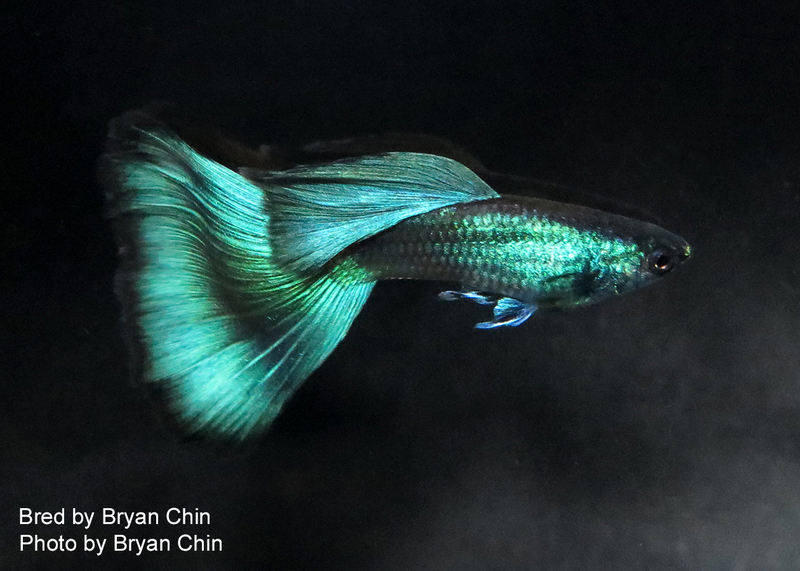 Most Green guppies on the show bench are green mixed with blue iridescence and can be disqualified due to type of light and the angle of the light that may turn it blue or green or purple. 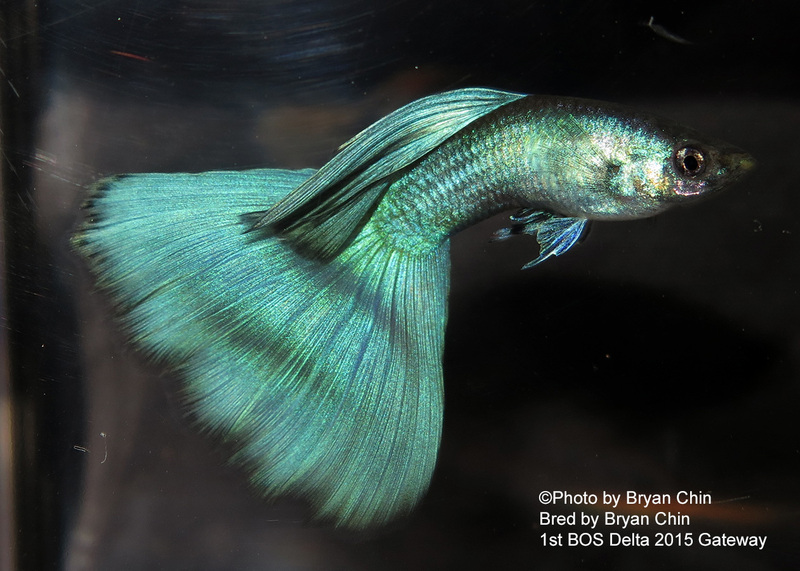 Female of green strains show green highlights in their fins. Green delta. Won 1st BOS at the Gateway Show 2015. This fish carries the Moscow trait. 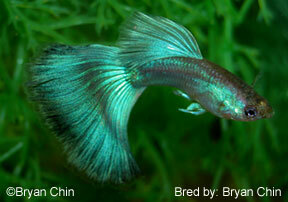 Green Moscow guppy that would be entered in the green class. 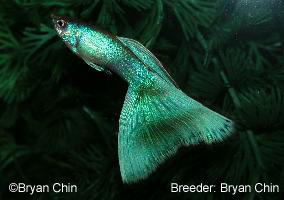 Very light green male. This would entered in green class. 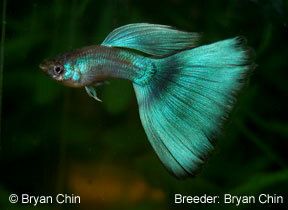 Dorsal fin needs better shape with the top edge and could be thicker and longer to meet show standards. This tank entry was entered in the Green tank class at the 2009 IFGA Annual. Best of Show. Commonly known as full green and not moscow type. This would be entered in the Green class. 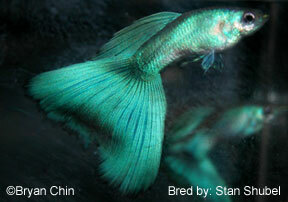 This fish would be entered in the Green class. 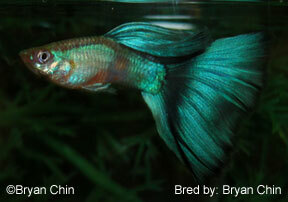 This fish carries the Y-link Moscow trait and would be entered in the Green class. A green with half colored green body. The half color trait in this strain is dominate Y-linked. 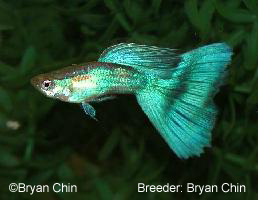 This fish would be entered in the Green class. A young genetic blonde green. 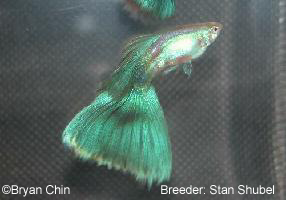 This fish would be entered in the Green class.